Free Heart Health Kit for National Wear Red Day! 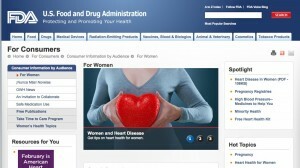 The FDA website has valuable information for women about heart disease. Today is National Wear Red Day, which is an awareness campaign for heart disease in women — the number one killer of women in the U.S. So wear red today and share some handy tips and info with your gal pals! To get started, check out this great resource from the FDA Office of Women’s Health — a Free Heart Health Kit. It goes over how to reduce your risk of heart disease and recognize the signs and symptoms, some of which are quite surprising. For example, it notes “the most important sign is feeling really tired—even after enough sleep.” A few other signs include, but aren’t limited to, difficulty breathing, trouble sleeping, and feeling sick to the stomach. One of the important things to take away from the guide is to talk to your doctor if you suspect anything. Remember that many of the signs and symptoms could be associated with other illnesses or other problems, so it’s important to not self diagnose! 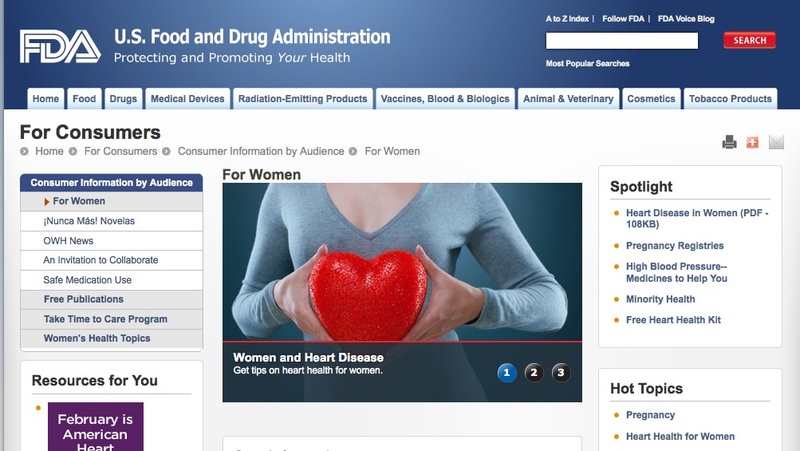 Another great resource of information is the FDA’s web page featuring topics relevant to women’s health. They have great information on other things that affect the health of your ticker, such as cholesterol, high blood pressure, smoking and diabetes. Remember to spread the word about heart health to your colleagues, friends, family, and community! Photos © Karen Peltier and Well Gal, 2012.